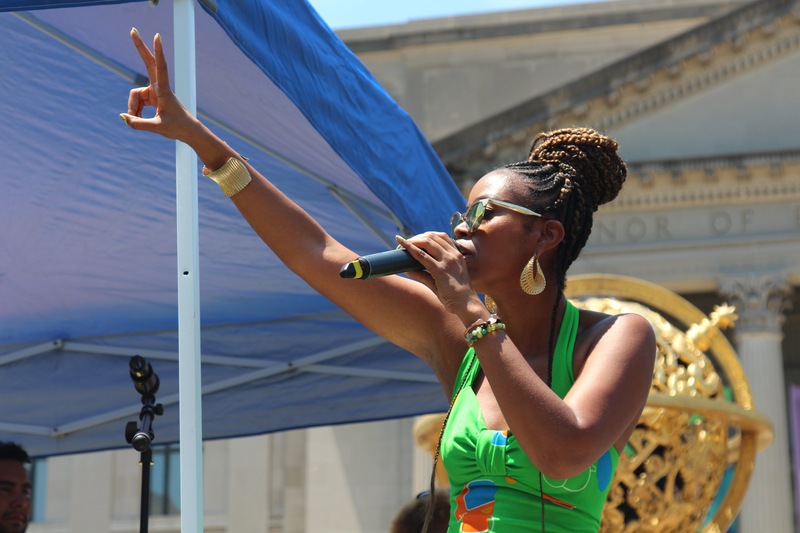 On Saturday, thousands of Philadelphians gathered beneath the hot sun in Logan Circle to call for an end to the detention and separation of immigrant families and the abolishment of ICE. 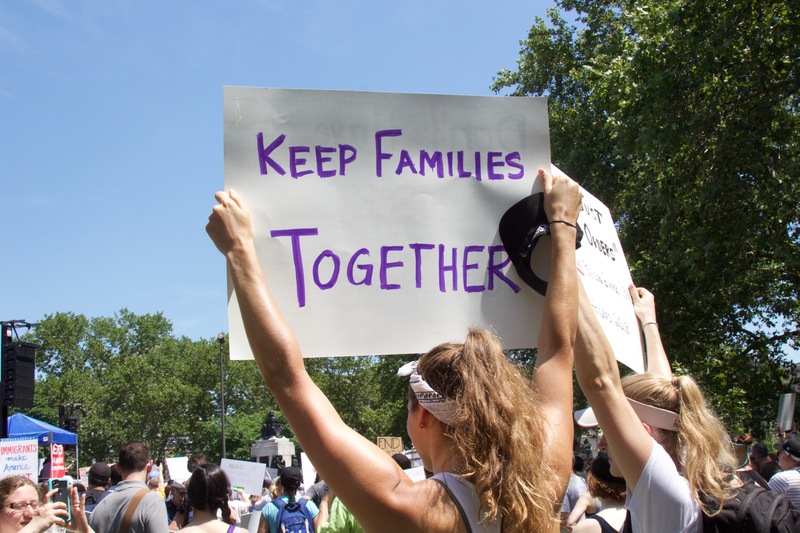 The rally, organized by local immigrant rights organizations and groups including Juntos, the Shut Down Berks Coalition, the Pennsylvania Immigrant and Citizenship Coalition, ACLU of Pennsylvania, and others, was one of hundreds that took place across the country as part of a day of action initiated by the national coalition Families Belong Together. “After this, we are going to be aiming directly at our elected officials to do as much as they can to provide safety and sanctuary for those that are being attacked by this administration,” she added. That means, said Almiron, action on the part of Mayor Jim Kenney to end the city’s contract with Immigration Customs and Enforcement that allows ICE to access to the Preliminary Arraignment Reporting System, or PARS, which has real-time information about police arrests. Almiron said that the next local action is to pressure Governor Wolf to shut down the Berks County Residential Center, one of three detention centers in the U.S. for immigrant families. 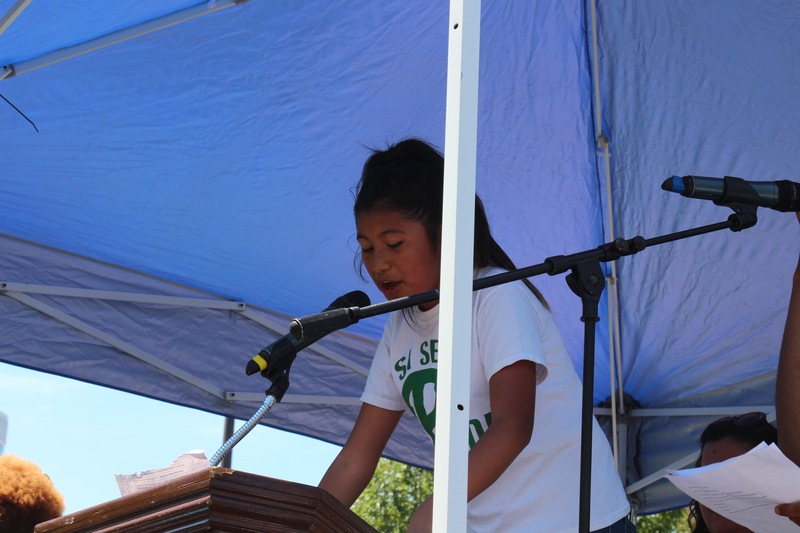 Speakers at the rally included a 13-year-old girl living in sanctuary with her family who described the experience that she and her family had in a detention center almost three years ago when they crossed the border from Mexico. A judge denied their petition for asylum from organized crime, and the family is now living in sanctuary in a church. 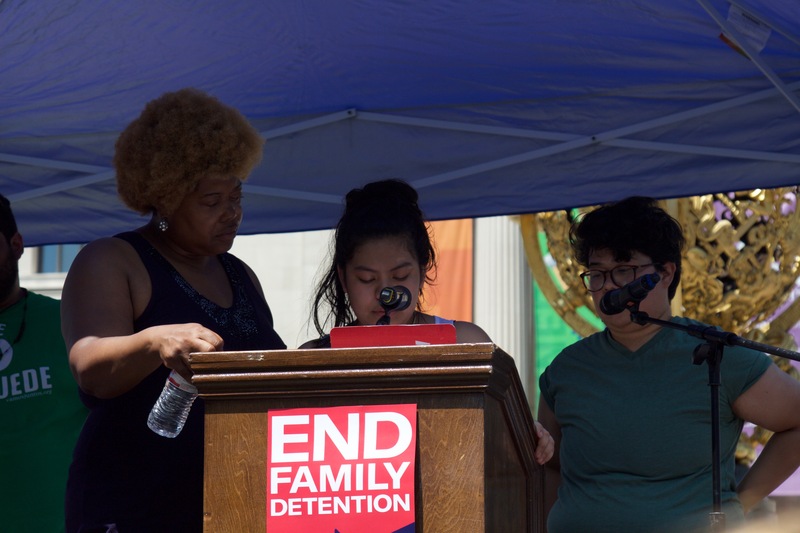 “I’ve lived through the same thing that many other children are living through who are going through the detention centers,” she said, as she tearfully recalled how ICE officers separated her brother — who was 12 at the time — from the rest of her family, and detained him with older men. 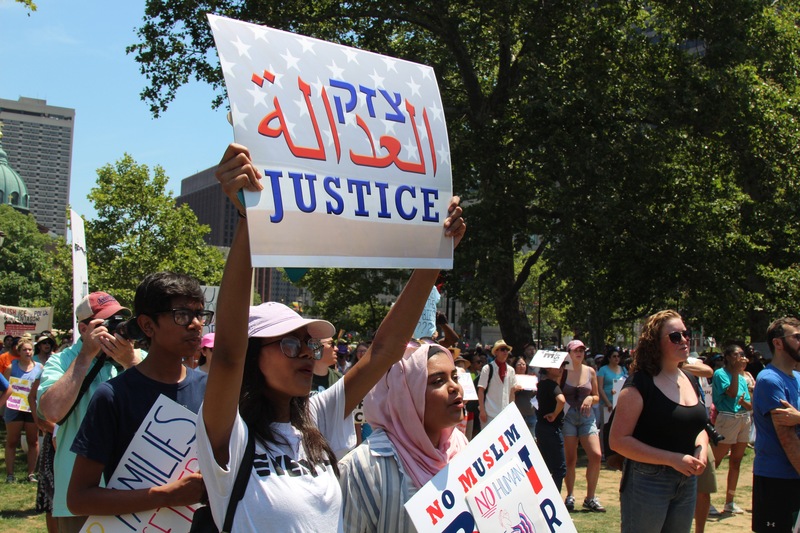 Speakers and attendees from different faith traditions and marginalized communities expressed solidarity and called for continued action against the criminalization of people of color. 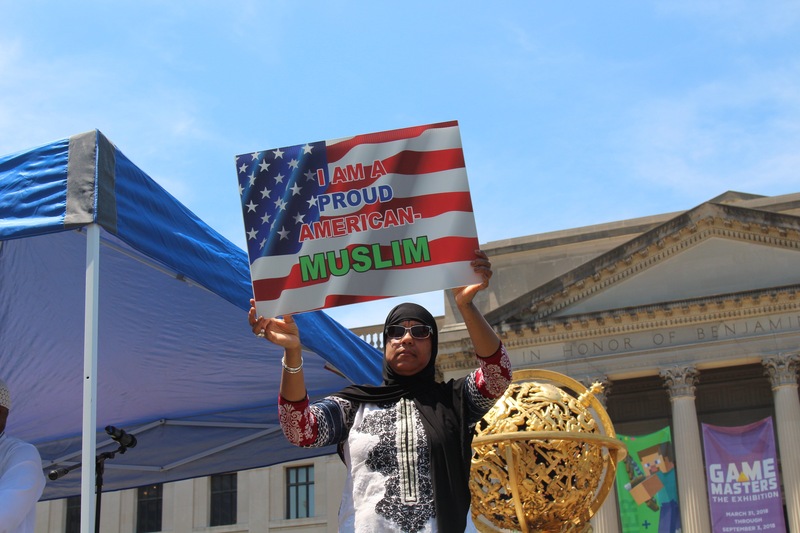 Afra Anan and Audrika Khondaker decided to attend the rally after they heard about it from their mosque. 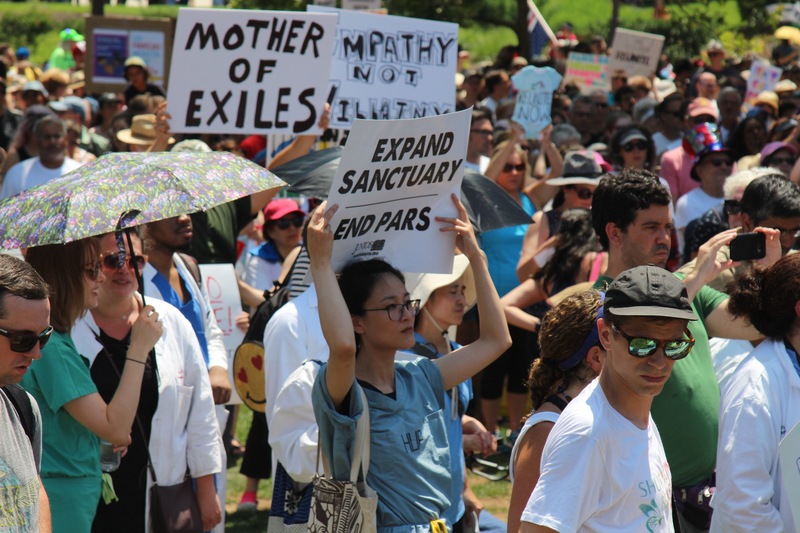 “I’m not a news person, but as of recently, I’ve been watching and I’ve been crying...This just goes to show, events like this, that there are people who do care, that want to put a stop to what’s going on,” said Anan, noting that she sees the immigration policy at the border as connected to the recent travel ban which refuses entry to travelers who are citizens from several Muslim-majority countries. “This is disgraceful and embarrassing,” said Debbie Collins of Upper Providence, who had brought her 12-year-old son to join in the protesting. 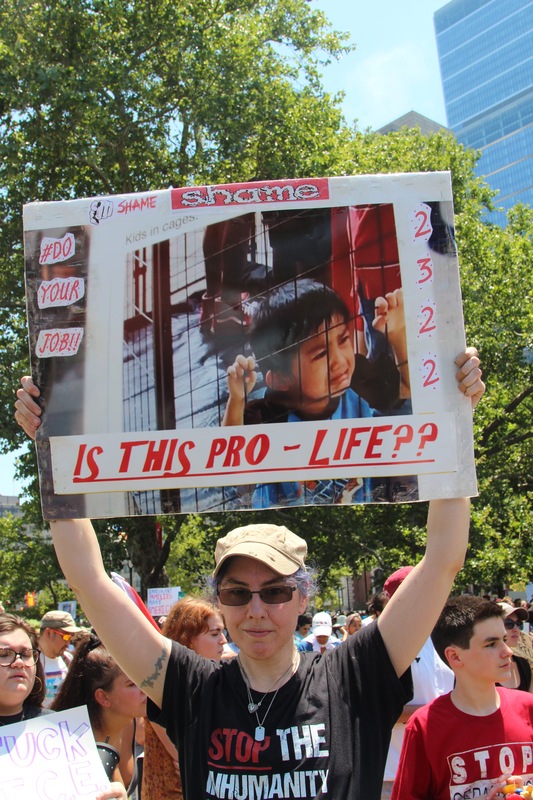 Libby Schwartz, who worked as a Philadelphia school teacher for 35 years and has been protesting “for decades,” said that the Trump administration’s immigration policy has spurred her into increased action. “It’s unbelievable. I’m in shock,” she said. 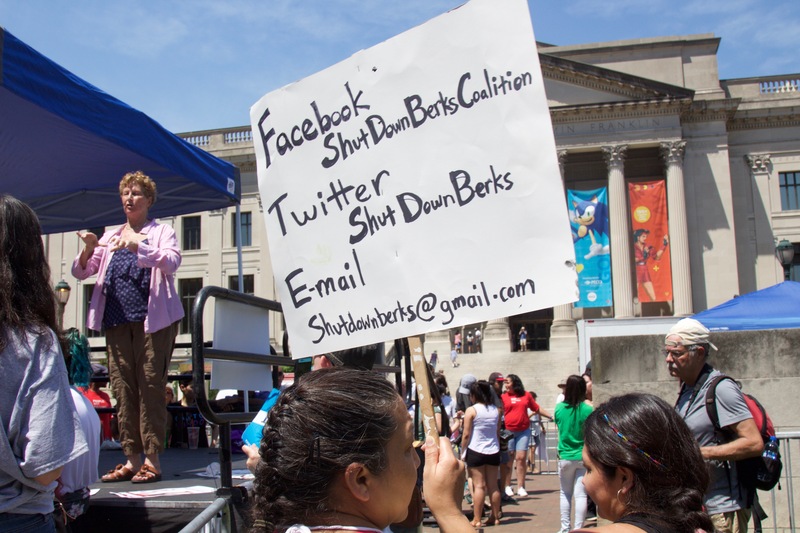 Upcoming events and protests include a vigil at the Berks County detention center to call for its closure, planned for July 15.